This one is a little bit further of a drive about 2 hours away from Whitewater. But it can be some of the best hiking and has some spectacular views to witness when you get to the top. Quincy Bluff rises 200 feet above all the surrounding land and extends for 2 miles, which is similar to Gibraltar Rock my last post! Being a bluff instead of a rock Quincy Bluff is a little more flat and easier to access. 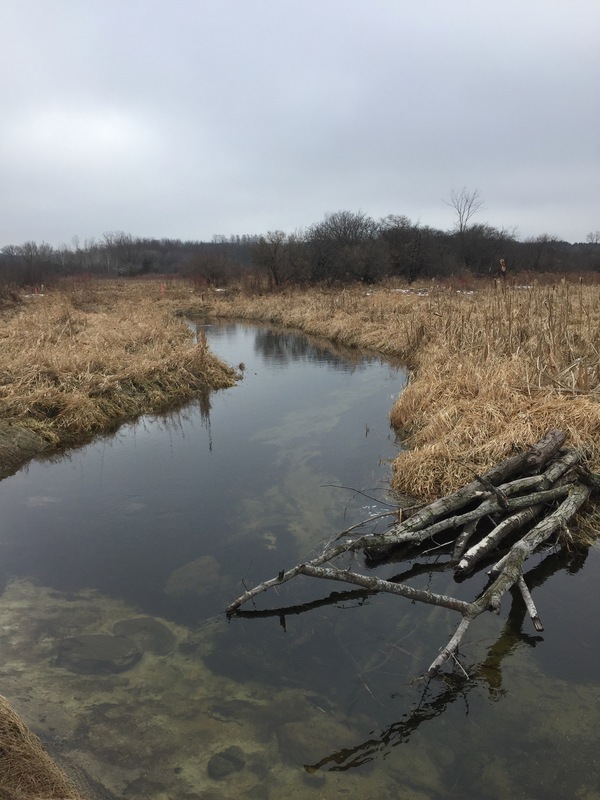 In total there are about 6,600 acres of land in Quincy Bluff and Wetlands State Natural Area. And some people claim that this land is haunted by ghosts. 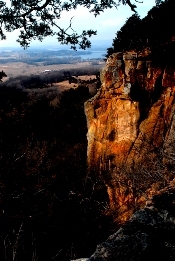 It’s getting warmer here in Wisconsin so if you have the chance to get up to Adams, WI to see this bluff, definitely take the trip! Gibraltar Rock State Natural Area, Gibraltar Rock Rd, Lodi, WI 53555. Only about an hour and 15 minutes away from Whitewater, Gibraltar Rock State Natural Area is a beautiful place to hike. The actual Gibraltar Rock which named the State Natural Area rises 200 feet above the surrounding landscape, giving you access to an amazing view. This picture really doesn’t do the area justice. It is a tough hike so I would not recommend bringing the whole family if you have young kids. But it is something that teens and adults could definitely handle. Not too tough and some of the most beautiful views you will be able to see in Wisconsin. Just 24 minutes outside of Whitewater, in Eagle, WI, you can find the Ice Age National Scenic Trail. This is a leisurely trail that has some excellent views. This trail is one of 42 designated Wisconsin State trails. And is a trail that your whole family could enjoy. 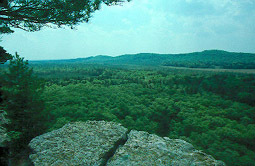 These trails are named because of the glaciers that were located in the Kettle Moraine area. Some people say this is the best evidence of glaciers that you can witness in Wisconsin. This trail is no longer than 4 miles, but the entire Ice Age Scenic Trail, was established in 1980 and runs about 1,200 miles in total. From my personal experience, I went with my family this past summer. This is a beautiful view that you can witness when out on the trail. If you come into the park from Highway 59 and go up to Highway Z its about a 3.1 mile hike. I would recommend doing this hike in the summer rather than the winter months because of the wildlife. The flowers and trees make for vibrant colors and great views. It would still be an excellent hike in the winter months but I’m all about getting the best view. A small town just off of highway 12 offers a very unique hiking experience. Bluff Creek trail is on highway P just outside of Whitewater. 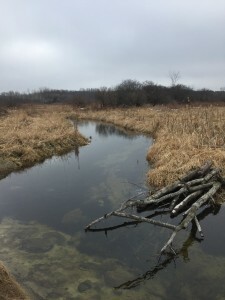 It is just outside of the Kettle Moraine State Forest, but its also the only completely free trail to hike. You get some really nice views of the Bluff Creek and also some great views of the farm fields around Whitewater. This trail is very mild hiking no big hills or mountains, just a straight walk good for anyone looking to get outside. Bluff Creek trail is named because of this creek that is located on the trail. When you are on the trail it meets up with the creek about a mile in. After you meet up with the creek you basically just follow the flow of the water down to a random stopping place. They are doing some construction on the trail right now, and I’m hoping they are expanding to make this trail a little more accessible. Outer Wear: Flannel, Jeans, Boots.